– Single-Family Homes from the mid $200’s! – Quick access to Hwy 96, 42 and 231. Now Pre-selling! A peaceful and quiet place to call home! 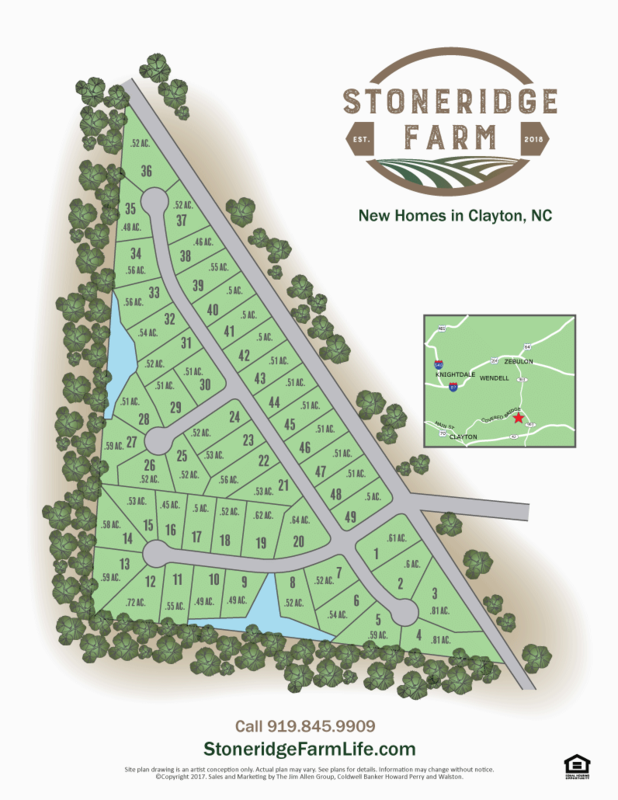 Find your escape in Clayton at Stoneridge Farm. Escape to your custom built home away from the hustle of city life, yet within minutes of all the places you want to be. Homeowners enjoy short commutes and easy access to Highway 96, 42 and 231 which makes commuting to Knightdale and the triangle a breeze. Convenient nearby shopping experience plus all the great dining and grocery stores are only minutes away. Opportunities are limited so don’t miss these opportunities with quality craftsmanships, 1st-floor master and ranch home plans available. This neighborhood has all the benefits and custom features your family desires with incredible features in an incredible location.